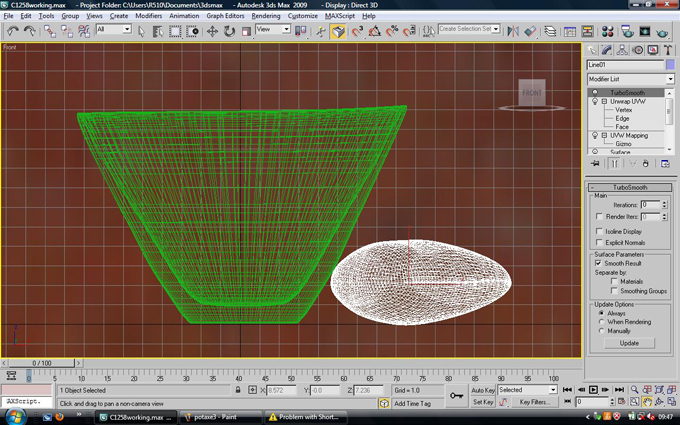 Stage 1 of the project is to build a replica of a Chalcolithic roundhouse for both educational and tourism purposes. The building is located within the roofed and fenced visitor area of the site of Kissonerga-Mosphilia, excavated by Professor Edgar Peltenburg of the University of Edinburgh from 1979 to 1992. The site was one of the largest and most important Chalcolithic settlements on the island, dating from around 4,000 to 2,400 B.C. Lindy Crewe and her research team chose to reconstruct Building 3, which dates to the Late Chalcolithic period (around 2800–2400 B.C.). This building is also known as the “Pithos House” as it contained an unprecedented number of large storage vessels and is of international renown, discussed widely in archaeological literature (excavated and published by Edgar Peltenburg ). At nine meters in diameter, the Pithos House is the largest Late Chalcolithic building on Cyprus and there are several additional features that make this structure an ideal choice for bringing the story of Chalcolithic Kissonerga to life. 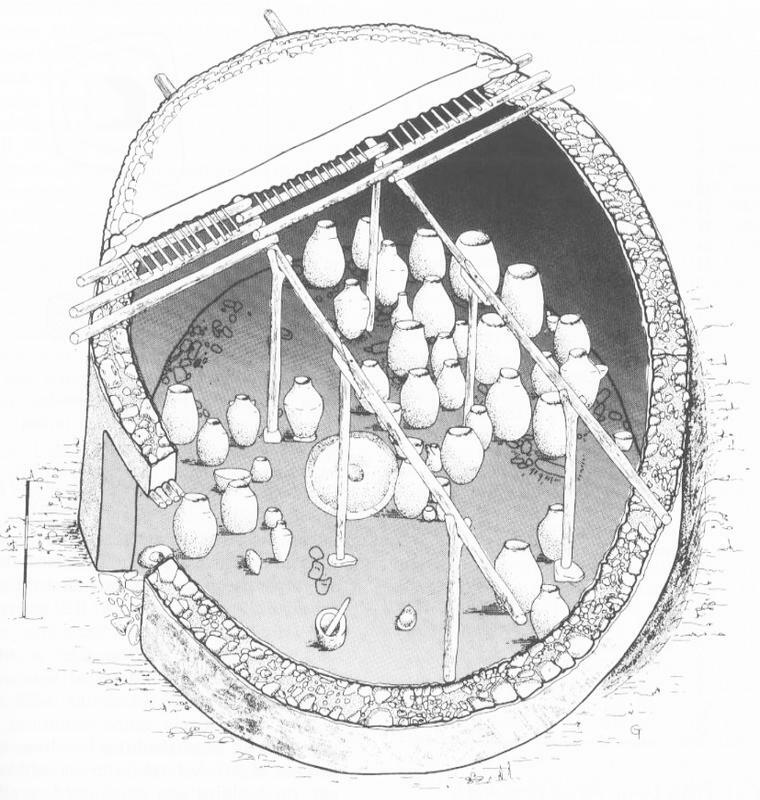 First, the Pithos House was destroyed by fire, leaving a uniquely rich assemblage of goods preserved on the floor, as shown in the illustration (Image 2). There were around 280 objects within the building, along with the remains of an infant. In addition to at least 37 storage vessels, other finds included exotic faience beads, evidence for copper-working, and one of only two stamp seals known from this period. The fire also left evidence of the different activities undertaken by the people using the roundhouse. These include tool manufacture, food and liquid preparation and consumption, and, possibly, the earliest-known olive press on the island. The fierceness of the fire suggests that many of the storage vessels may have contained olive oil. There is no doubt that the Pithos House was a building of a special nature, perhaps providing evidence for privileged access to resources by some sectors of Chalcolithic society. The Pithos House is also one of the visible and well-preserved structures within the fenced area at the site, allowing visitors simultaneously to view the archaeological foundations and experience being inside a prehistoric roundhouse. The building reconstruction, using experimental archaeological and traditional techniques, has been funded by the A.G. Leventis Foundation, the Department of Antiquities of Cyprus, and the Kissonerga Village Council. 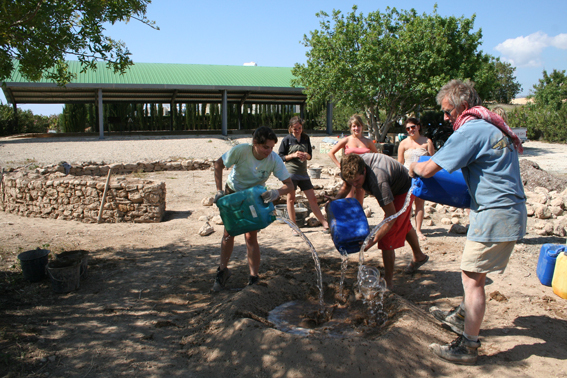 Paul Croft began building during the Easter break in March and April 2010, with help from archaeology undergraduates and volunteers from the Paphos area. In Image 1, you can see the mud and stone foundation completed, ready to add the mud walls and the timber, soil, and brush roof over the summer. An innovative aspect of the project will be the accompanying computer reconstruction and documentary film, which were funded by an AIA Site Preservation Grant. This additional element will allow Lindy Crewe and her research team to widely disseminate the project via the Internet and through museums and schools. Matthew Dalton, who is responsible for the computer reconstruction, has now photographed all of the artifacts from the house and has begun the task of digitally rendering each one. They will be placed into their find spots and depict how the building appeared prior to destruction. 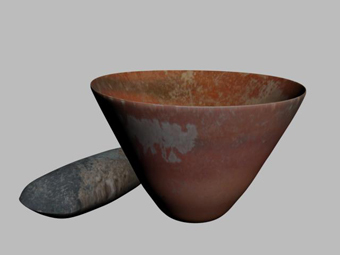 The images show a ground stone ax and pottery bowl, computer-rendered in 3-D and with added textures. In addition to serving as an interactive digital resource, large color posters will be affixed to the reconstructed building’s interior, providing an extra dimension to the visitor experience. Lindy Crewe and her research team will be giving updates on the progress of the physical and computer reconstruction of the Pithos House, as well as the concurrent excavation of the Bronze Age site of Kissonerga-Skalia, over the summer on our blog at http://digcypruskissonerga.wordpress.com/.